Hans Wilsdorf founded Rolex in 1905 alongside his brother-in-law Alfred David. With a history that dates back over a century, Rolex has produced many notable timepieces, including vintage and modern. While vintage timepieces are often sought-after for their history and collectability, modern Rolex watches bring something different to the table in the form of a contemporary style and several modern upgrades. So how does one choose between the two if given a chance to purchase just one Rolex? Determining how to decide can be a difficult task, no doubt. First, let’s take a closer look at vintage watches and what makes them so appealing. One of the most exciting aspects of vintage Rolex watches is the history. Maybe the particular reference that you have your eye on is similar to a watch worn by a former American President, a legendary actor, or a famous explorer. Or maybe it introduced an important feature to a model, such as a sapphire crystal, an upgraded movement, or an increased waterproofness. 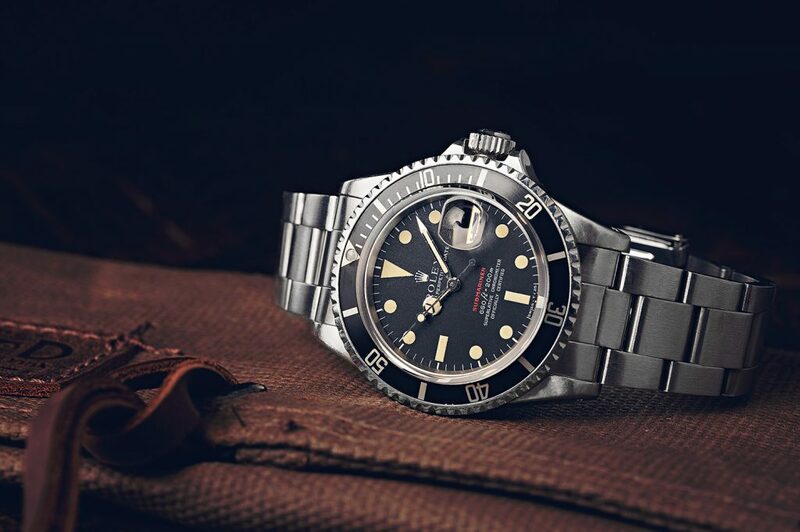 A notable “transitional” vintage reference, for example, is the Submariner 16800 which brought with it several additions to the iconic diver watch line, including a scratch-resistant sapphire crystal and a higher resistance to depths of up to 1,000 feet. Collectability is another notable selling point of a vintage Rolex watch. What is it about each timepiece that makes it so desirable? Perhaps it boasts a rare set of hour markers or a highly desirable fade on the dial. Some dials may even crack with age, resulting in a highly sought-after “Spider” dial. It’s the search for some of these rare occurrences that make buying a vintage watch so appealing to some collectors. Depending on the rarity of the feature set, vintage Rolex prices will vary greatly. Some of the more elusive references will command a higher price. However, there are affordable vintage Rolex watches on the market today that will meet most budgets. 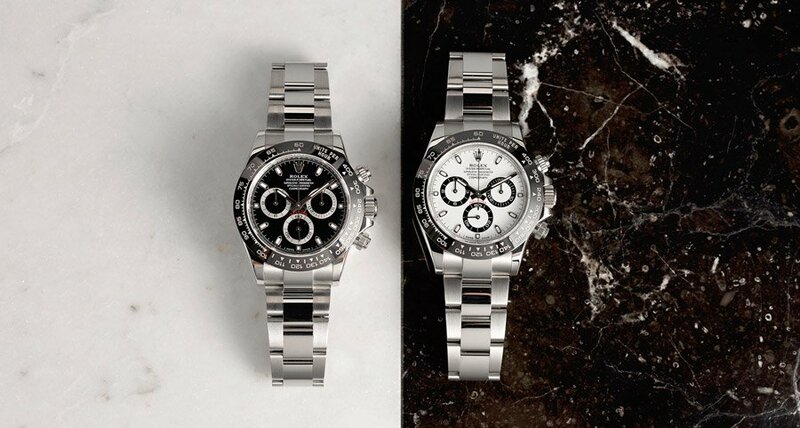 New Rolex watches are noticeably more contemporary, often offering larger case sizes and upgraded materials, such as Oystersteel and scratch-resistant sapphire crystal. Upgrades such as solid links and end links, wider lugs, and milled clasps offer a substantial weight on the wrist that is unlike older Rolex watches. With over a century of experience in making complex and precise movements, the newer watches that Rolex produces are also singularly reliable. With age comes some wearing down of the intricate parts of each Rolex, including the crown, which may result in some loss of waterproofness. If factors like this are important to you, you may want to consider purchasing a new or pre-owned Modern Rolex. Another benefit of a newer Rolex is that it offers a plethora of modern amenities while staying true to the classic design that is often found on vintage Rolex watches, essentially offering the best of both worlds. Modern Rolex prices will vary depending on materials used and the complexity of its functions. Whatever your budget may be, there is a modern Rolex on the market that will meet the needs of your lifestyle and budget. The truth of the matter is, only you can decide what the best purchase is for you. No matter what decision you make, you’re going to love the watch you choose. Whether it be a modern Rolex, or one of the many sought after vintage models we carry, the perfect watch for you is the one you choose.